Ah, childhood games! I bet all of you look back at those (more or less distant) times with pleasure and maybe a bit of nostalgia. Those carefree times when the only worry was… oh well, I guess there weren’t any. But I digress. Today’s post was inspired by Joseph Lambert’s post on board games translation, but I chose instead to talk about some of my favourite playground games – from a linguistic perspective, certainly. I will have a look at the names of some of these popular games in English, Romanian, French, Spanish and Italian. This popular game is played by children around the world and it bears various names, often with no apparent relationship between them – hopscotch in the UK, US and Canada, marelle (pebble) in France, avión (plane) in Bolivia, Mexico and Peru, campana (bell) in Italy. This goes to show (indirectly) that this is very old game, as with more recent games, the tendency is to borrow the name, usually through translation. 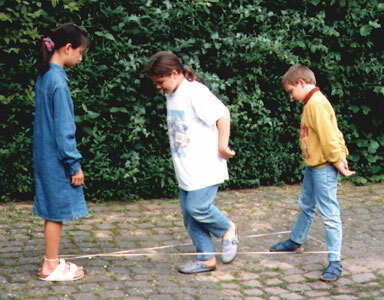 In English, the name of this popular children’s game comes from the words ‘hop’ (move by jumping on one foot) and ‘scotch’ (scratch, line drawn on the ground). What better name? In Romanian, the etymology of the word șotron /ʃoˈtron/has been long debated. Some say it has unknown origins, others have claimed that it comes from the French chaudron (cauldron), pronounced /ʃodʀɔ̃/, although this theory is based purely on the similarity of pronunciation. In French, it is called marelle (small stone, pebble) or palet (disc made of stone or metal) and the name comes from the marker the players throw (usually a small stone or a coin). In Spanish it has many names, depending on the country and sometimes even region. I will refer to the generic name used in Spain, which is rayuela, which is a diminutive of raya (line), clearly from the lines drawn on the ground. In Italian, the game is called mondo (world) or campana (bell).The first variant may refer to the drawing itself, where the first square represent the Earth, while the last one the sky, therefore an allegorical representation of the world. I could find no clear history behind the history of the name campana (bell) which may show a connection with the game, but if you do know more, please share in a comment. Good old memories. We used to spend hours playing this. Surprisingly (or maybe not), we did not feel tired even after all that jumping about. But where does the name of this game come from? For the first variant, the explanation would be that the game originated from China, I suppose the jump and rope parts are pretty clear, though the rope is made of a rubber band (elastic), which takes us to the second name, which is also the one used in Romanian (elasticul). As for the etymology of French skipping, I could not find anything about the French part in French Skipping. Anyone able to shed some light? As you can see, the Romanian, French, Spanish and Italian versions are very similar (not surprising, considering they are all Romance languages) and they all mean the same – the elastic (the rubber band). What about this one? I used to play this not only as a child, but also as a teacher of foreign languages. The students loved it. I hope you remember what it is about. 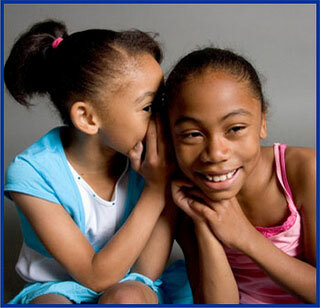 The game involves passing on a message by whispering it to the person next to you, who will pass it on to the next person and so on, more often than not the final message not coinciding with the original one. This can be either because someone along the line misheard it or maybe mispronounced it, or one of the players deliberately changes the message to make it more fun. As for the name, in English it is known as Chinese whispers, grapevine, broken telephone, whisper down the lane, gossip, secret message, the messenger game and pass the message. While most of them clearly portray the game and there is no need to go very deep to understand the etymology, there are two I’d like to discuss, i.e. Chinese whispers and grapevine. Chinese whispers does not show, as probably expected, the origin of the game, in fact it is name considered by some offensive. Apparently, the word ‘Chinese’ was used by Europeans to refer to something confusing, incomprehensible, most likely due to their inability to understand a new and different culture at the beginning of earliest contacts between the two worlds. Grapevine used in the sense of gossip is also the basis of the expression to hear something through the grapevine (to learn of something unofficially by means of gossip). There are two theories regarding the origin of this: one says that it comes from the way the slaves in the South were kept up-to-date with the events by ‘grapevine telegraph’; the other traces the origins to the Civil War when the telegraph wires used by Army Intelligence were strung from tree to tree across battlefields and looked like grapevines and often the news circulating this way were inaccurate and confusing. The Spanish version, teléfono descompuesto (broken telephone) is also identical to one of the English names and the etymology is clear. Ah, the source of so much fun. 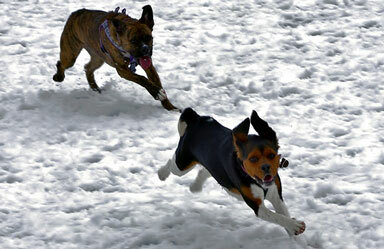 I have chosen a picture of dogs playing it just because I love dogs and these two are really cute. This game has many variations, but it basically involves one player (called it) chasing the rest with the purpose to tag them (touch them with a hand) – and this is also the etymology of the name. In English, tag most likely comes from the Middle English word tek meaning ‘touch, tap’ (source). It is also known as it – see above. In Romanian, it is called leapșa, which means a slap. The French the most common name is jeu du loup (the wolf game), the wolf being the player who chases the others. In the north of France it is also known as t’y es (you are it) which corresponds to the Italian name of the game – Ce l’hai. Another name in Italian is lupi (wolves). So many similarities! In Spanish it has many names, depending on country and even region. The general name is juego de persecución (chasing game) – it describes it perfectly, doesn’t it? One variant of this game bears the same name in all these languages (it may come to support the theory according to which this is what happens with newer games as opposed to ancient ones – see hopscotch above). This variant involves two teams consisting of equal number of players. In English: Cops and Robbers, in Spanish Policías y ladrones, in Romanian Hoții și vardiștii, in French Gendarmes et voleurs and Italian Guardie e ladri. The Romanian name is the only one that puts robbers before cops, but it may be purely for phonetic reasons, to avoid alliteration. Linguistics is a complex subject and I could have gone deeper and looked at all name variants of each game, but 1) I would not have been able to finish this post in the next 3 months 🙂 and 2) you would have been asleep by the end. But I hope this post has been informative, useful and has brought back lovely childhood memories. Such an enjoyable post! You took me back to my childhood and I was trying to remember how these games are called in Bulgarian. Hi Plamena, and thank you for your comment. It’s interesting to see what these games are called in Bulgarian. 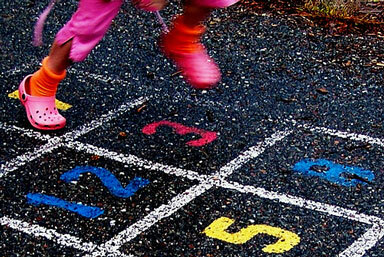 How did hopscotch become “queen”? It’s the only one where I can’t see a connection between the name and the way the game is played. Any idea? Yes, etymology is strange, but I guess that’s why it is so fascinating, isn’t it? Some comments, from Mexican Spanish, on the names of this games when I played them. It would be fun also to compare the different rhymes and songs used in different languages for singing games…. Oh, I forgot, thanks for the suggestion as well. It’s definitely something worth looking into. Watch this space! Hi Heidi, many thanks for your comment and valuable contribution to the post. Regarding the ‘encantados’ version you mention, I remember playing it too. I can’t remember the name off the top of my head, but I’ll look into it. The name in Spanish fits like a glove, doesn’t it?